Do I really need to train? I already have an “eye” for style and I’ve read a couple of books, surely that is enough to get me started? The Study in Style courses offer you the underpinning knowledge, theory and skills to be able to work with a variety of clients. You will be trained to give objective, professional and informed advice on what suits them, as well as what doesn’t work! As a trained consultant you will also be able to demand higher fees. What makes the Study in Style courses unique? Because you get the benefit of Gail’s experience, expertise and enthusiasm! She still works with real life clients every week, so she can certainly “walk the walk and talk the talk”. We offer the first and only complete image consultancy foundation course on DVD – allowing you to train at home, in your own time, around your work and/or family commitments. We offer support to all our graduates as their businesses grow, because we are committed to your success. The colour analysis system that we teach is simple, effective and easy to understand. The style training is broken down into easy to follow, manageable chunks backed up with practical advice that you can pass on to your clients. And because of Gail’s experience as a Personal Shopper for John Lewis you will get all the inside knowledge and details to help your clients shop quickly and effectively. 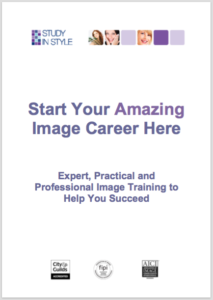 Who is the Image Professional Course for? The Image Professional Course is for anyone who is interested in learning more about image consultancy and how to build a successful image business. No prior colour analysis or style knowledge is required, and there is no need to have any retail or fashion experience. In fact, we have consultants who had previously worked as engineers, air traffic controllers, marketing executives and stand-up comedians! Will I need to buy any extra equipment from you before I can start working? The training fee for The Image Professional and Personal Stylist Courses includes all equipment and visual aids necessary to allow you to start working (and earning money!) straight away. There are no hidden costs and no panicking about having to buy extra equipment, however most consultants will buy a few colour swatches to keep in stock once they have completed their colour analysis training. What support do you offer post training? Apart from the mentoring calls with Gail and the email / telephone support, we organise online masterclasses, send out regular newsletters and blog posts as well as hosting consultant meetings at least twice a year. At these meetings you have the opportunity to meet other consultants in order to network and learn. We offer business and marketing advice at these meetings as well as industry updates. How easy is it to order extra supplies of make-up? We can supply you with further equipment, swatches and make-up whenever you want them from our wholesale catalogue. There is no minimum order – postage and shipping is extra, and we ship to anywhere in the world. Updated resource materials will be sent to you as they become available. Are there any exams or assessments? There are no formal exams – However, when you have completed each module there is a short written test and a practical assessment to complete before we issue you with a certificate. What are the benefits of Studying at Home? There are the obvious benefits of saving time and money as you won’t need to take time off work, or spend money on petrol, airfares, childcare or hotels. You can work at your own pace, rewind and watch the DVDs or online videos as many times as you want. It may take you a couple of weeks, a few months or even a year to complete a course, but you can fit it in around your life – it isn’t a competition! You receive the same comprehensive information, manual and equipment that you would receive on a Face to Face course – nothing is left out. Plus you have the added bonus of being able to rewind if you need to repeat an important piece of information! Mentoring sessions and email access are also incorporated into the training programme, which will suit you if you like to be able to ask questions as you go through the training. You could also join one of our Image Training Schools for focussed training with an online group. What do you get in the Home Study Kits? Exactly the same content and equipment that you would receive on a Face to Face course! Each course module is filmed on a number of HD quality DVDs, with each DVD containing 60 – 90 minutes worth of footage. We supply the correct DVD format for wherever you are in the world – PAL or NTSC, (Region 1 or Region 2). The training DVDs are backed up with a full colour, in-depth training manual and a number of exercises for you to complete, which have been specifically designed to aid your learning. The equipment and visual aids supplied will allow you to complete the training and start working in that subject straight away. No hidden costs and no panicking about having to buy extra equipment. NTSC is the DVD format you need if you live in North America, Central America, most of South America, Burma, Japan, South Korea, Taiwan, Philippines. PAL is the DVD format you need if you live anywhere else, including UK, Brazil, Uruguay or Argentina. You will receive hands-on, interactive training in a small group. There are a maximum of 5 trainees on each Face to Face course. Our courses are held in a relaxed, creative setting in Hertfordshire, giving each student individual attention plus the opportunity to try out their new skills with immediate feedback and advice from Gail and their fellow students. All refreshments, chocolate biscuits and lunches are included in the course fee. Do I have to achieve a minimum sales target? No! You will be allowed to run your business as you wish, with support and help from Head Office but with no pressure to sell a certain number of products. Make-up and other product sales can help boost your profitability but it is your decision as to how much you want to promote and sell any other items. How do I get my new business up and running? Business and marketing training is included as part of the Image Professional Course, the Personal Stylist Course and the Personal Shopper Course – what to do and what not to do! For example, you would learn how to promote your business services, how to find your ideal client, plan a website, write an elevator pitch and price your services appropriately. You can also ask questions in our consultant Facebook Group or during the consultant Q&A sessions. If you purchase either the Image Professional or the Personal Stylist Course you also receive access to the in-depth online Business Planning and Marketing Course – because there is no point in being the best trained consultant if you can’t find any clients! How soon can I start working as a consultant? You will be able to start working with clients and building your business as soon as you have finished your training course, although you will probably be practising on your friends and family whilst you’re learning. Once you have completed your colour analysis training you could start charging for colour analysis sessions whilst you are still studying your style modules. Do I have to set up a studio or can I work as a mobile consultant? The Study in Style Courses are all designed to be flexible and to cater for both the mobile and studio based Consultant. 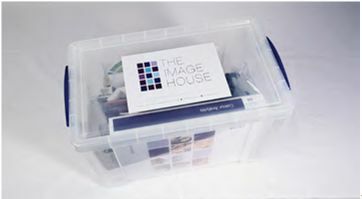 A compact carry case in which to transport all of your equipment and products is supplied with the colour analysis and make-up modules. Everything packs up neatly and quickly into this case and unlike some other systems; there are no cumbersome drape stands or make-up displays to set up before you start a consultation. Will I learn how to run a consultation? Yes. In each module we focus on how a consultation works – what to say, how to say it, what to wear and how to listen to your client. You are given a clear structure, as well as any relevant questionnaires and workbooks to guide you and your client through a successful consultation. Do I need any insurance or official documentation to start my business? Check with your National Government guidelines regarding any official documentation which might be necessary when you set up your own business. We would highly recommend taking out some public liability and all risks insurance to protect yourself and your equipment.